Back in May, my husband and I spent a week at Amelia Island for JSConf, at which he spoke. I, on the other hand, did what I do best: explore my surroundings with a camera in one hand and food in the other. Luckily, JSConf aided my daily adventures by offering a significant others’ track of activities. That track included a cruise down the Amelia River led by Pajama Dave. I wish I had pictures to record how awesome Pajama Dave is, but all I can say is the man can rock a pair of Bud Light PJ pants while providing quite the entertaining river cruise. I’m not sure which is the greater feat. But you came here for pictures, didn’t you? 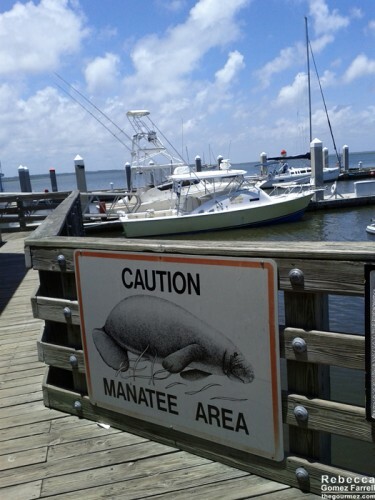 The boat loads close to the “Caution: Manatee Area” sign at the downtown Fernandina Beach marina. 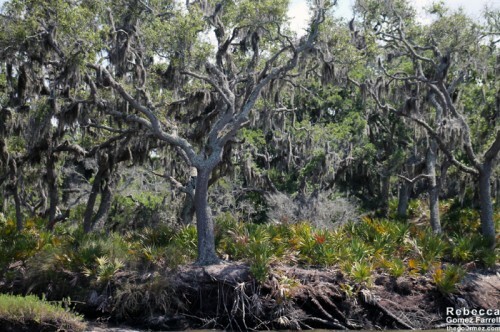 We took the Cumberland Island Cruise, which takes about two hours in all. Loading is fast and the tour is mostly shaded but bring some sunscreen just in case. We passed a sawmill and a street full of oleander that Dave was sure to tell us was popular for poisoning husbands in tea form back in the day. 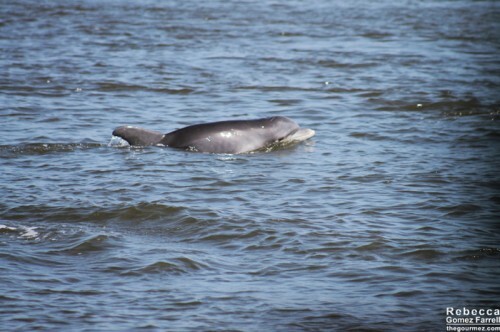 All along the way, dolphins frolicked around us, though it took me until near the end of the cruise to snap their pictures successfully. No manatee sightings, but I’ll recover from that injustice. 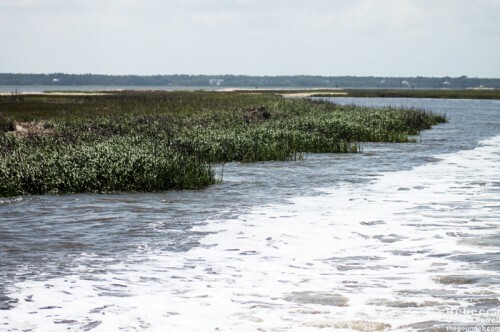 The first point of interest for me was the historic Fernandina Beach neighborhood, Old Town Fernandina, where the Timucua American Indians settled and the first European invaders came around 1811. It wasn’t the history that caught my attention, however. It was the house used in the filming of 1989’s the New Adventures of Pippi Longstocking! Appealing to my 80’s childhood is a surefire way to my heart. 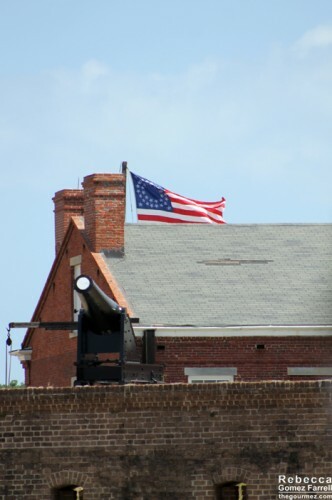 Close by, on the northwestern tip of Amelia Island, is Fort Clinch, a fort that never saw military action but changed hands a few times during the Civil War, ultimately becoming a Union stronghold. I mainly thought it was pretty and envied the folks swimming on its shores. 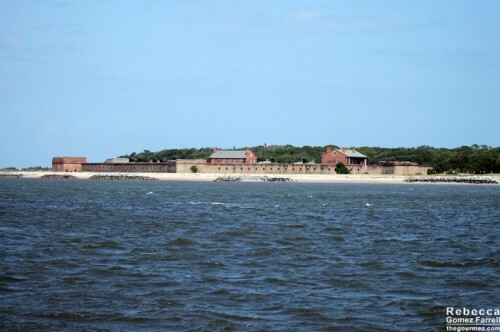 The whole of Fort Clinch on the return trip. Onward we sailed until we were in the brackish waters of Cumberland Sound and the St. Marys River. Both border Cumberland Island, which is the largest barrier island on the southeastern US coast. 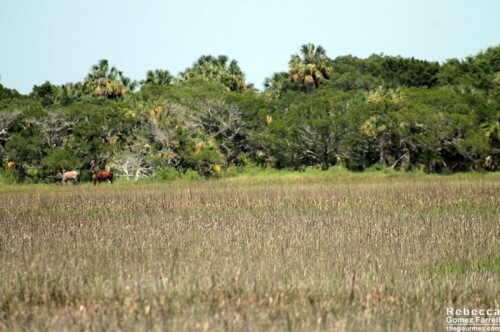 Unlike Amelia Island, our base for this vacation, Cumberland Island is mostly uninhabited, unless you count the wild horses. Left side of the photo. Hi, horsies! 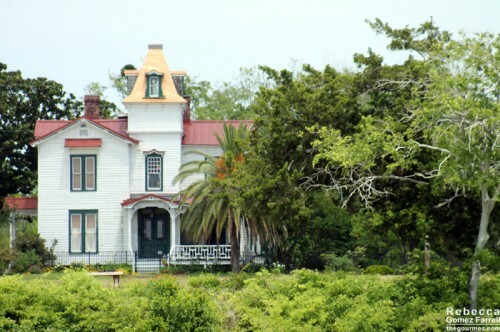 They like to congregate near the abandoned Dungeness mansion, home to Lucy Carnegie when she was alive. You can’t see it well, but with a zoom lens, it’s somewhat photographable from the boat. Click on the photo twice for a better view, including more wild horses! I would love to explore the mansion, but then again, I love all abandoned buildings. Yes, I’m an abandoned-building-photographer junkie. We all have our vices. 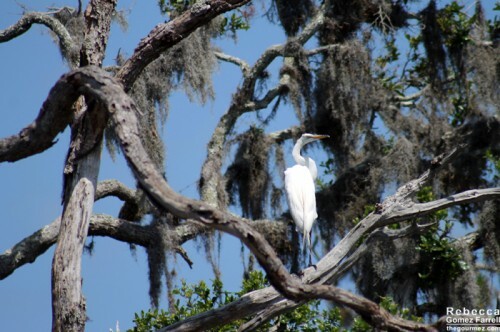 Mine also include taking photos of Spanish-moss-drenched trees and wildlife, which this tour also supplied in plenty. All in all, Pajama Dave’s Amelia River cruise is definitely worth the expense, although my cost was only $10 as part of the JSConf track. Waiting for your ship will give you plenty of opportunity to explore scenic downtown Fernandina Beach, which I’ll cover on my next blog post. 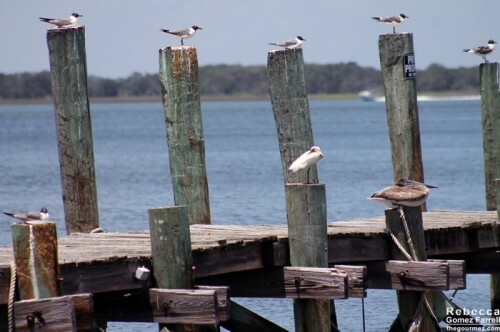 But if strolling historic city blocks isn’t your style, you can always watch the birds taking a break on the nearby broken-down pier. I had a lovely time, but the birds somehow managed to be more relaxed. 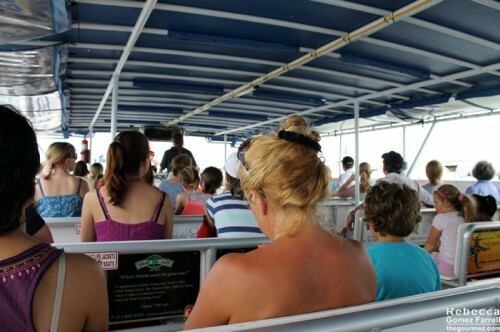 For the rest of my photos from the Amelia River cruise, head here. Like I said, next time, I’ll take you on a walking tour of the town, and then we’ll work our way through a few more travel posts I have lined up before it’s back to the food-side of the blog. I’m enjoying the eats of the Bay Area, but I haven’t put on my critic’s hat quite yet.